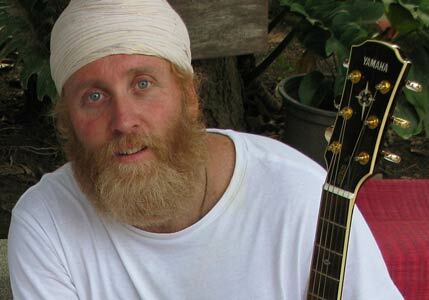 Sat Jot Singh began his devotional music career touring and recording with Snatam Kaur and Guruganesha Singh in 2006. He first performed with Snatam and Guruganesha on Peace Prayer Day 2006 and recorded & composed the Guru Ram Das track for the "Pure Ganesh" CD for Snatam and Guruganesha that very same year. Sat Jot also toured with Snatam in 2007 and again in 2008 as her bass player, keyboard player and primary backing vocalist. Last year in 2009 Sat Jot Singh released "Divine Shine" and "Sadhana Live from Rishikesh." His new release "Breath of Love" features the songs Ong Namo Guru Dev Namo, Pavan Guru, Ardas Bahee, Hum Dum Har Har, Sat Narayan and more. Sat Jot Singh and his jetha will be performing songs from "Breath of Love" as well as popular selections from his previous two CD's "Divine Shine" and "Sadhana Live from Rishikesh." These beautiful kundalini mantras combined with Sat Jot's english lyrics, some inspiring words by Yogi Bhajan and poetry by Kabir will allow you to discover for yourself the transformative power of the healing sound current. As you sing along you'll experience a divine celebration with deep relaxation, inner joy, peace, love and healing.